The Global Game Arena Ponzi scheme has collapsed. Rather than admit they’ve run out of money though, GGA’s admins are blaming affiliate investors. As if blaming investors (most of whom are victims) wasn’t bad enough, GGA is hiding its collapse behind imaginary compliance. BehindMLM reviewed Global Game Arena not even a fortnight ago. Run by serial scammer Frode Jorgensen, we found GGA to be a typical MLM crypto Ponzi scheme. 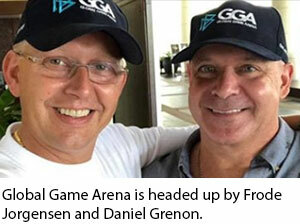 Affiliates invested in GGA points, Global Game Arena increased the internal value of GGA and, so long as there was new investment money flowing in, affiliates could cash out. not about buying 100 Positions in the system or by bonus buying products to qualify for higher commissions, rank and rewards. Such behavior is not ok and is destroying the industry. Under the guise of “clamping down” on its own business model, GGA has “locked up all funds in the system. Naturally Jorgensen and the gang don’t go into specifics. As far as I can see, affiliates withdrew and GGA ran out of money. Now they’re pretending to be victims and are using withdrawals as an excuse to exit-scam. We have to try to reset the system and try fresh as all problem areas has been identified and corrected, and we will not allow them to happen again. Now it’s important that you read the information below to fully understand how we will be moving forward. The play seems to be to reset investments, which will of course infuriate the current affiliate investor base. Once the company has full control of the situation and have made the needed adjustments, GGA will partially release funds on a weekly basis from your locked balances. This means that you will not have any available funds to make any new purchases until you either load your account or make some sales. As above, whatever is left, be it real money or imaginary back office balances, will be held hostage until new investment is made. Affiliates with more than one investment account have also been told funds attached to those accounts will be “disabled”. While on the surface it might appear Global Game Arena will reboot at some point, this is simply a carrot on a stick approach. Nobody is going to invest new money into a Ponzi scheme that has collapsed and is holding imaginary ROI balances hostage. This gives Frode Jorgensen an out, as after a suitable time has passed, he’ll throw in the towel and blame affiliates for “not making sales”. Thus the Global Game Arena “compliance” exit-scam will be complete. Jorgensen makes off with the money he’s been able to steal, and everyone else loses out. Anyone with even the slightest knowledge of Jorgensen’s past should have seen this coming a mile away. Those that invested blindly? Sorry for your loss. Over and over the MLM crypto scam plays out and over and over again people keep falling for it. I need to hunt down Jorgensen, will try to make a bounty campaign to track him down. I heard Daniel is already out as CMO of GGA. So they are really moving out one by one. If you want to pursue bounty hunters and what not that’s your business. This is not the place for that.